Look, an iPhone... in white. AT LAUNCH! 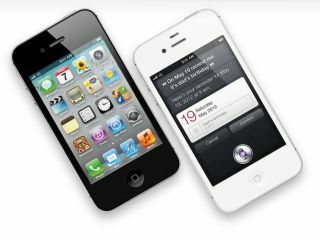 Apple has clearly worked out how to switch the iPhone painting machine from 'black' to 'white', as we're getting a white version of the new iPhone 4S. The problems with Apple bringing out a white iPhone 4 were well-documented, but with the iPhone 4S coming with an identical chassis size to the previous version, the Cupertino firm has got the skills to bring out a phone in a different colour. Apple has obviously found a large tin of the white colouring as it's now also offering the iPod touch in white (along with a cheaper price tag), so those that find the black options just a little too dreary have a decent alternative. Cook'n'co have also upgraded the internals to finally offer up a 64GB iteration of the new iPhone 4S, alongside the traditional 16GB and 32GB variants as well, so packing the handset with reams of 1080p footage will be easy even if you're hankering after being the next Spike Jonze. The iPhone 4S UK release date for all the options has been set for the 14 October, and while we don't have the final UK pricing as yet, the US pricing is the same as we saw for the iPhone 4, meaning we'll probably see the 64GB version landing for £599 SIM-free. Stay tuned for our full iPhone 4S review - we'll be getting our hands on one as soon as we can on the launch day; will it be enough of an upgrade to consider dumping the iPhone 4?